We get to feeling pretty darned good about ourselves when a client is so happy with our work that they introduce us to their friends… which is exactly what happened after we finished our project with Gary Ryno at MorganCFO! 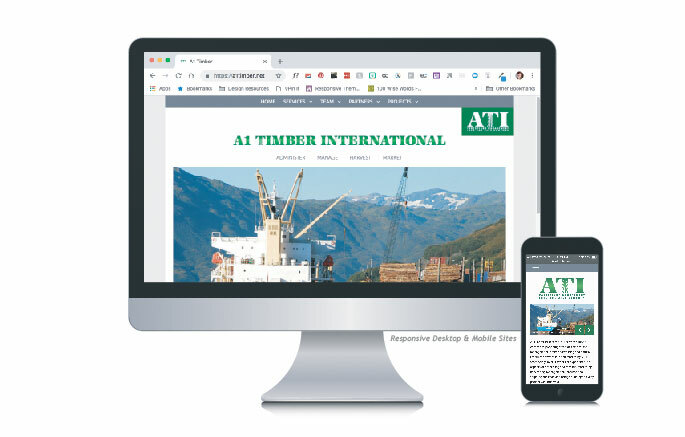 His client ATI (A1 Timber International) needed a new logo, business cards and a fully redesigned website with content as fresh as the trees they work with are tall. Fun (and little known!) fact about our founder is that she grew up in a small logging town in Oregon, so this project felt just like coming home to her — and we were pleased to be able to jump in and provide all those things to those hardworking loggers.